Reach Coimbatore, pickup from Railway Station/ airport and depart for Ooty. 85 Kms – 3 Hrs. On arrival check in at the hotel. Evening will be free at your leisure. Overnight at the hotel. Morning you go for a half-day excursion of Coonor. Visit the local sights in Coonor & the Tea Gardens. Later in the afternoon visit Ooty Lake, Dodabetta Peak and Tea Gardens. Evning will be at your leisure. Overnight at the hotel. 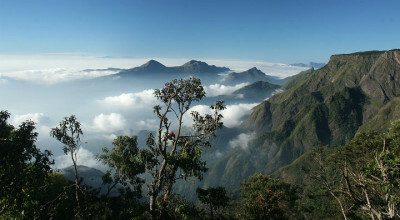 Optional- Glenmorgan 30 kms from Ooty/ 1 hr. approx. one side. Morning after breakfast visit half day sightseeing of Botnical Garden, Deer Park, Rose Garden. Afternoon check out from hotel and depart for Kodaikanal by surface approx. 250 kms/ 8 hrs. Evening arrive Kodaikanal and check inn at the hotel. Overnight at Hotel. Proceed for half Day sightseeing of Kodaikanal visiting Silent Valley, Green Valley, Pine Tree, Pillar Rock, Kodaikanal Golf Club and Dolphin Nose Point. Evening back to Kodaikanal City side and visit Kurinji Temple, Coakers Walk, Silver Cascade Fall, Bear Shola Fall and Byrant Park. Evening you can enjoy boating in the Kodai Lake(on own). Overnight at the hotel. Morning after breakfast proceed for the green hills of Munnar. approx. 180 kms. En route you can see countryside beauty, Valleys & Tea Garden or many other tourist attraction i.e. Anayirankal Dam, Gap Road, Hydel Park (Blossum Park) and Pothemeddu View Point. On arrival check in at the hotel. Evening is free for relaxation. Overnight at the hotel. Today proceed for a local sightseeing, visit the beautiful Water Fall, Mattupetty lake and Dam, Echo Point and Top Station to enjoy the scenery and then Kundla Dam. Evening is free for shopping. Overnight stay in Munnar. Optional: Visit to Kullukumalai or Rajamal hill with Short Trekking to visit Tea Factory can be arranged by a local Jeep at an additional cost of Rs.2,500 per jeep with capacity of 5 persons in total. Entrance per person will be charged Rs. 150/- which client has to pay at the time of entering factory. After Breakfast leave for Cochin approx. 110 Kms/ 5 Hrs. Afternoon drop at Railway station or airport for onward journey. Vehicle not run to unmated roads and restriction areas i.e. local union etc.